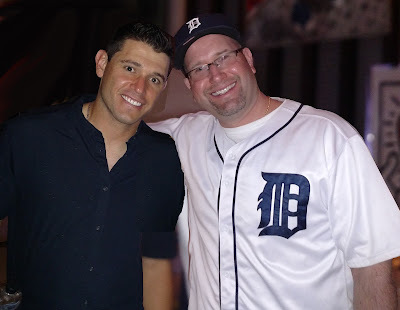 The Rabbi with a Blog (Rabbi Jason Miller): What a Year for Jews in Baseball! What a Year for Jews in Baseball! For any baseball fan who pays special attention to the few (very few) good Jewish baseball players in Major League Baseball, 2017 was a very exciting year. And the excitement started even before the MLB season kicked off. In a Times of Israel article, I wrote about the memorable seven days of March that were magical for the ragtag Team Israel in the World Baseball Classic. Nate Freiman of Team Israel referred to his squad as "The Mensches of March" and they were known for their iconic "Mensch on the Bench" doll and for donning yarmulkes during the playing of Hatikvah (Israel's national anthem) before games. Team Israel became the pride of every Jewish kid around the world who had been waiting for their big Sandy Koufax or Hank Greenberg-esque excitement. The next big moment in Jewish baseball (at least for me) came in late July. I flew to Philadelphia to officiate the bar mitzvah of a special needs boy before the Philadelphia Phillies game. About 100 of us gathered in a party room at the ballpark to watch this young man be called to the Torah (yes, I brought a small Torah into Citizens Bank Park!) along with his therapy dog (it was a bark mitzvah too!). Officiating a bar mitzvah before a Major League Baseball game inside the stadium was pretty cool and I couldn't imagine what could top it on that special night. And then the game went into extra innings. In the bottom of the 11th inning, pinch hitter Ty Kelly, a nice Jewish kid from Dallas, hit the walk off RBI to win the game for the Phillies. 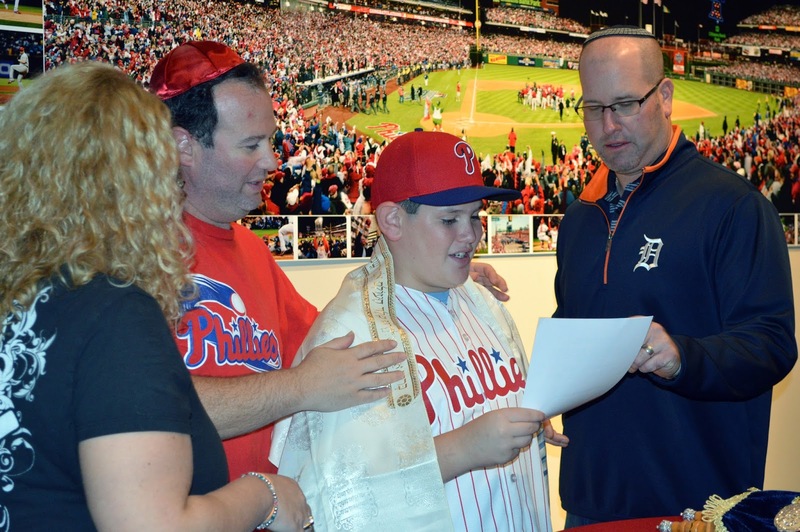 The bar mitzvah boy was ecstatic (along with the other Philly fans in the packed ballpark). The 29-year-old Kelly, who proudly wears a Jewish star necklace, has a Jewish mother and played for Team Israel this past year. The excitement of the 2017 MLB season for fans of Jewish baseball players continued right up to the very end with two elite Jewish sluggers squaring off against each other in the World Series. Both Joc Pederson of the Los Angeles Dodgers and Alex Bregman of the Houston Astros had memorable postseason performances. Pederson had 3 homers in the postseason and Bregman had 4 homers and 10 RBI in the postseason. Had the Dodgers emerged victorious, Pederson was surely a candidate for World Series MVP. The 2017 World Series had a couple notable moments for Jewish baseball fans. Pederson had all 3 of his postseason home runs in the World Series, giving him the record for most home runs by a Jewish player in one World Series, moving him past Hall of Famer Hank Greenberg. Bregman also makes the Jewish baseball record books becoming the first Jewish player to win a World Series game with a walk-off hit (in game 5 of the World Series). Both Bregman and Pederson homered in Saturday night's game 4, making them the first Jewish baseball players on opposing teams to homer in the World Series in the same game. Wow, that's a lot of records for one World Series. 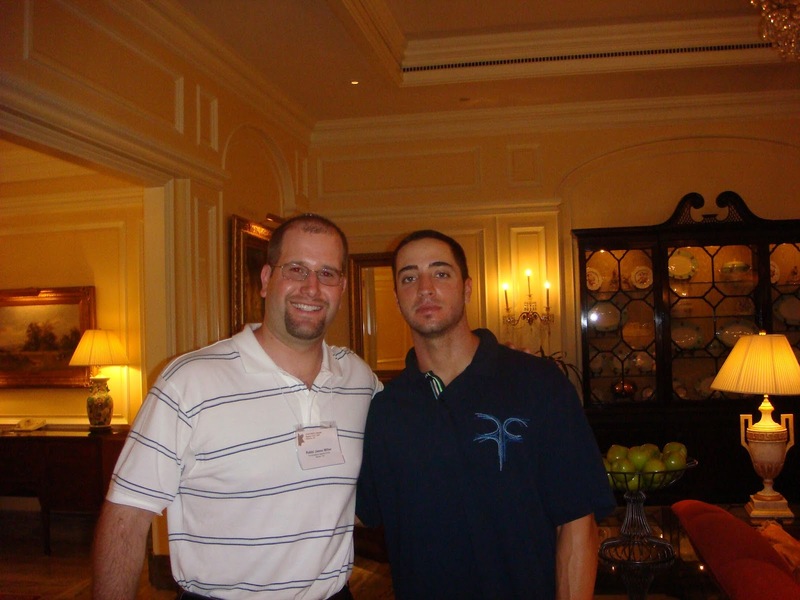 As if all this wasn't enough to make 2017 the most exciting year for Jewish baseball, Ryan Braun ("The Hebrew Hammer") of the Milwaukee Brewers had his 300th career home run this season and is on his way to hitting his 1000th career RBI next season. He's also been able to maintain a career batting average .300 in his impressive career thus far. The Detroit Tigers' Ian Kinsler had another successful year. It was Kinsler's 5th season with 20 or more home runs. Kinsler's career numbers at the plate are impressive and he's one of the best fielding 2nd basement of all time. He's a four-time All-Star and hit for the cycle in 2009. He should certainly be considered as a candidate for the Hall of Fame. Sadly, Kinsler and his Detroit Tigers had to say goodbye to their manager, Brad Ausmus. While Ausmus had his challenges in his four year managerial stint with the Tigers, he was beloved by his players and most local fans. In all fairness to Ausmus, his only managerial experience before coming to the Tigers was when he was the skipper of Team Israel. As one Jewish manager departs, another enters. Gabe Kapler, who like Ausmus played for the Detroit Tigers, has been hired by the Philadelphia Phillies to be their manager. Kapler worked with Ausmus as a coach for the Israel national team in the 2013 World Baseball Classic. Good luck in the 2018 season to Manager Kapler and to all the Jewish baseball players. To Alex Bregman and his World Champion House Astros, Mazel Tov! As one who attended the 7th game of the 1986 World Series I can fully identify with your enthusiasm and ''bren'' for the ''gevalt'' that this otherwise boring sport can bring out in us.